But her final conclusions as the country's environmental watchdog say it is Canada's slow action to deal with the warming planet that is most "disturbing" to her. 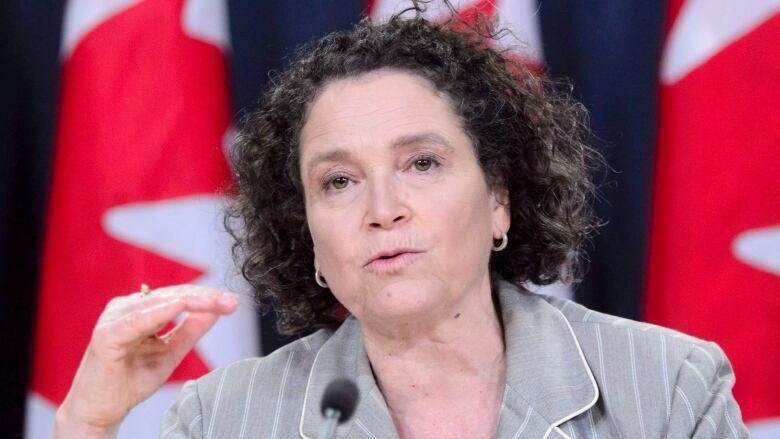 "For decades, successive federal governments have failed to reach their targets for reducing greenhouse-gas emissions, and the government is not ready to adapt to a changing climate," she said in a statement Tuesday morning. "This must change." Gelfand's rebuke came a day after Environment Canada scientists sounded an alarm that Canada is warming up twice as fast as the rest of the world, causing irreversible changes to our climate. Gelfand's audit says the Liberals are not keeping a promise to get rid of "inefficient" fossil-fuel subsidies, which are undermining efforts to combat climate change, encouraging wasteful consumption of fossil fuels and discouraging investments in cleaner energy sources. Gelfand concludes that both Finance Canada and Environment Canada have defined "inefficient" so broadly they can't decide what subsidies fall into that category. Finance Canada's work on the subsidies focused exclusively on fiscal and economic considerations without giving any attention to the social and environmental issues at play. For its part, Environment and Climate Change Canada only looked at 23 out of more than 200 federal organizations when it compiled an inventory of potential subsidies for the fossil-fuel industry, Gelfand found. Last year Canada began a peer review with Argentina that sees each investigate and report on the other's fossil-fuel subsidies. Last week Environment Minister Catherine McKenna started a public consultation on the subsidies to aid that peer review. The draft regulations she released last week say her department has concluded that none of the federal non-tax subsidies for fossil fuels actually is "inefficient." The IISD list shows more than $1.2 billion in fossil-fuel subsidies from the federal government, and an even greater amount from provincial governments. Gelfand's audit looked only at federal subsidies. Gass said the government's report on fossil-fuel subsidies is a good step toward transparency but that the reasoning behind the conclusion there are no inefficient subsidies is still confusing. "We need a more ambitious approach and (to) have a better plan," he said. Gelfand's audit is the second attempt to audit Finance Canada's fossil-fuel subsidy programs. In 2017, the auditor general made an attempt but was blocked when the department refused to cough up the needed documents. Eventually the department gave in, resulting in the audits released Tuesday.